For my second Lit Circle book, I read The Paper Magician. I absolutely loved it! I will admit I was a skeptical when I found out I was reading this book, I wasn’t sure if I would like it. But I totally did! The beginning was a little slow, but then after about fifty pages it explodes with all sorts of action! For our final project, the soundtrack, I feel like playlist matches our book very well. Throughout the playlist, we used classical and instrumental pieces to represent the time period that it takes place in, since it takes place in the mid 1800’s. We also mixed in some alternative music because I feel like this book is unique, it’s unlike anything I’ve ever read before. There are also lots of different emotions that are felt throughout this book and I feel like we covered them all in our playlist. I really like the playlist that we created and I enjoyed making the playlist, I thought it was a creative way to do a final project. This first image represents the emails that Graham and Ellie send to each other throughout the story. This is crucial to the story because this is how they meet, which leads them to develop a relationship and eventually meet in person. This second image, is in our main commons and is of one of the lead actors in a play several years ago. This image connects to the novel because this is how Graham’s career begins. He gets a lead role in his high school play, which eventually leads him to get his big break as a young, teenage actor. This third image we chose because we feel it represents Ellie. She loves to read, particularly poetry. She will even write down poems and put them in the frames that are sold in her mother’s shop. This last image, that I took, is a drawing of a beach. In the last section that I read, after Graham finds out about Ellie’s true father, she distances herself from him. But then after some time, and Graham realizes that Ellie and her mother are worried about bad publicity, they agree to meet on a private beach and have a picnic together. This is where their relationship begins to come back together. Our main conflict is starting to resolve itself. The climax of the conflict occurs after Ellie’s mom learns about their relationship and Ellie decides to distance herself as to protect Graham and her self from potential publicity. But after realizing this, Graham decides that he wants to be with Ellie. He also realizes that he incorrectly assumed that he had done something wrong when she went to see to him on set. They decide to have a picnic on the beach, as Graham’s movie is coming to a close, where they unfortunately run into photographers. After Graham punches one and they flee, Graham decides to accompany Ellie to find her father who will only be an hour away for the 4th of July. These events set their relationship back on track. 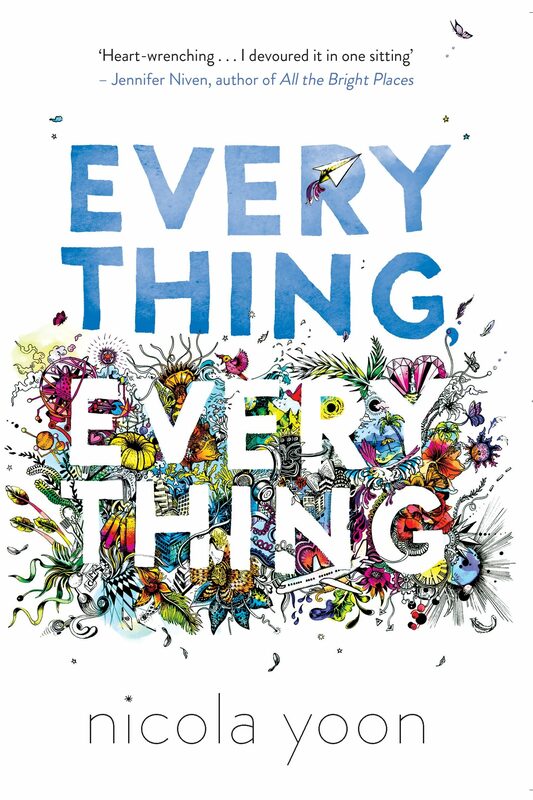 I read the book Everything Everything by Nicola Yoon. It is the story of an 18-year-old girl, Maddy, who has SCID. It’s an illness that confines her to her house because it attacks her immune system. Anything could make her very sick, which could cause death. She cared for by her mother, who is a doctor, and her nurse, Carla. Her life is pretty mundane and follows a stick routine which includes her 3 meals each day and a couple skype classes. Each day, everything is the same, until new neighbors move in next store. Olly is the boy who lives right outside Maddy’s window, which they use to write notes on. After many weeks of texts and emails, Olly is able to meet Maddy, after a thorough decontamination and with strict guidelines to stay on the opposite side of the room. This meeting strengthens their relationship and eventually leads them on some wild adventures. I loved this book! It was such a fun read! I really enjoyed the unique layout of the book, I felt like I was really able to connect with and understand Maddy’s unique “bubble baby” life. It was so easy to read. I haven’t watched the movie yet, but I have seen parts of it, and parts I have seen match up pretty well with the book. I also loved watching Olly and Maddy’s relationship grow. I also love how, eventually, Maddy is willing to take lots of risks, with Olly. I also really loved the huge twist at the end! The only thing I didn’t particularly love, is that when everything is resolved and works out, it just ends. That’s it. But other than it was amazing! Such a cute story!! I will be reading the trilogy of To All of the Boys I’ve Loved Before. I chose to do this series after I finished the first book for our first term book “show and tell.” I absolutely loved the first book and I have to know how it ends! The first book ends with some loose ends, so I quickly devoured the second book. And I really enjoyed the second book, P.S. I Still Love You. I might’ve liked the second book more than the first, because it talks about Peter and Lara Jean’s real relationship, not their pretend one. I also loved reading these two novels because after watching the movie, I was able to see the parts that they had taken from the second book and put in the movie for the first book. 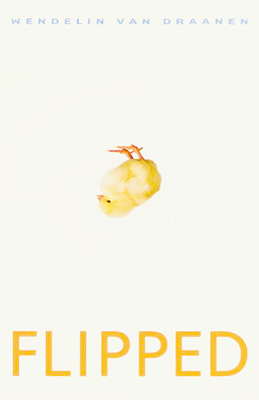 I only have to finish the final book, Always and Forever, Lara Jean. I plan to quickly read this last book, once I can get it from the library. I hope to finish it well before the final project is due. For this term, I read the novel To All The Boys I’ve Loved Before. It is all about Lara Jean, and her interesting love life. Lara Jean is the middle child of three girls to their widowed father and is a shy, high school junior. She is an amazing student! Throughout her whole life, Lara Jean has been in love five times. When she finds herself with a crush that she can’t quite seem to get over, she writes a letter to that boy and then stores it in a hat box in her closet, never to be read again. Other than those letters, Lara Jean hasn’t had much experience with boys, which she is perfectly okay with. Shortly after he older sister, Margot moves to Scotland for school, her secret love letters get sent out to those five boys. One of those boys is the most popular boy in school and is currently dating Lara Jean’s old middle school best friend, another boy is one of her best friends and Margot’s boyfriend. Lara Jean is unsure how to handle the situation, which takes her on an interesting adventure that could lead her to find love for herself. I absolutely loved this book! It is such a fun read, it’s so hard to put down. I love learning about Lara Jean because I feel like she is such a relatable character. I also love watching grow throughout this book and in the second book. This book has some of the cutest moments that I have ever read about. You go through lots of emotions while reading, it made me laugh, get frustrated and even want to cry, all in one book. By the time my book “show and tell” came around, I had already finished the second book in this trilogy. I created slides 12 – 15. 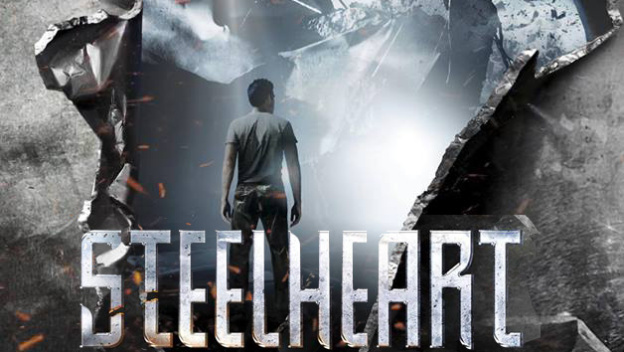 Steelheart started out just like any other epic, well, like any other human being. The powers that an Epic possess don’t manifest themselves until they’re ten years old. When Steelheart was a child, Epics were just on the verge of major expansion throughout the world. Most Epics started out as almost superhero-like, doing good for the city in which they lived and helping all who needed it. “I want to be the best Epic ever!” declared Steelheart on his tenth birthday. His powers came to him that very day, faster than anyone had seen before. Everyone could tell that there was something different about Steelheart, he was going to change things. As Steelheart worked on controlling his powers, he tried to help wherein could, mostly in the little things. So that just in case something went wrong, nobody could be seriously injured. It wasn’t until Steelheart turned eighteen when Epics began to use their power to control those who weren’t like the Epics. Steelheart saw this change and wanted to do something to change this, but he didn’t know what. He also knew that he couldn’t do it alone. “I’ve got to change something, somehow.” Steelheart thought to himself. Throughout his teenage years, Steelheart had become friends with two other Epics like himself. Deathpoint, Fortuity, and Steelheart all worked on their powers together. All three of them could see the older, more experienced Epics around them starting to become more controlling and less helpful. They were determined to make sure that the Epics would always be heroes to those desperate for a hero. Fortuity and Steelheart liked the idea of finding the Epics that were starting to become corrupt and talk to them to see if they could change their minds. Deathpoint at first liked this idea, but as he got older he realized that Epics wouldn’t take direction from younger Epics. He decided that it would be better if they just destroyed the corrupt Epics. Now on different paths, Steelheart and Fortuity found no success, the Epics liked the power that the government was starting to give them. Deathpoint was also finding no success, it’s hard to kill an Epic when you’re working alone. But Deathpoint wasn’t going to return to Steelheart and Fortuity, so he just kept on going his own way, with anger for Steelheart and Fortuity since they didn’t help him. These Epics were infuriating Steelheart. The Epics’ stubbornness, leads Steelheart to come up with his master plan. Steelheart decided that he would become the most powerful Epic and he would show all the other Epics how to be an amazing Epic, he would be their leader. “I will be their guiding example, they will know how to be a true Epic!” Steelheart explained to Fortuity. “But what if they don’t listen to you?” Fortuity questioned. Steelheart hadn’t thought that far though. He did, however, remember Deathpoint original plan and he decided that he would follow that, to prove his power. Nobody was going to ruin Steelheart’s plan. He would show these Epics, what it meant to be an Epic. Whether they liked him or not. My mom has always told me that as a child I loved to read with her since before I could talk. She would calm me down for bed from the time I could sit up by reading a board book or great little books that had a great rhythm. I am the oldest and she bought a small little bookshelf and started a collection and I would always crawl over to it and pull lots of different books off the shelf, and she would have me help put them all back in. We also took library trips from the time I could enjoy the “Toddler Time” story, and we have kept up family library trips to this day. And that is how I learned to read as a child! In elementary school, I loved to read fantasy books over everything else. But since then I have found that along with fantasy books, I also really enjoy reading realistic fiction. My favorite books in elementary school were Harry Potter and Flipped. 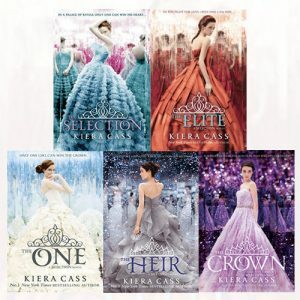 While I still love both of those books, my new favorite series at the moment is The Selection. But, I have had many favorite books and amazing reads in between. Normally, I tend to read one book at a time and I plow through it. However, this year, I am learning to read more than one book at once since I am in both Pop. Lit and AP Lit. They both require lots and lots of reading, which makes my homework much easier to do. I found that as I have gotten older, I enjoy reading more. I find it easier to carve out time to read, even though sometimes my schedule can be chaos. For my first book in this class, I am reading To All the Boys I’ve Loved Before, and I am excited to read it, I’ve heard so many good things about it! The story that I found from Thailand is called, A Bamboo Bridge Over Rapids, written by Seksan Prasertkul. This story is actually one of the author’s memories from September of 1980. He and eight other friends had gone to explore in the mountains. In 1980, they had been exploring for for more than five years together. He opens the story with some of his experiences in the jungle, but then shifts his focus to the day he left his parents. He specifically focuses on his mother, her life and her personality. He also gives details about their relationship as mother and son. This author used both word choice and imagery very well, I could always clearly see what he was describing. I absolutely loved the first sentence, “Some stories seem to be buried stubbornly in our memory.” This clearly indicated to me that he would be telling a memory. He also gave lots of descriptions about his mothers plastic, horse shaped piggy bank, of which she stored all that she earned and used to support her family. In addition, he describes the way his father looked when he left for the mountains, simply by using the word “hobbled,” to help the reader visualize the way he walked. This author used syntax well. More of the sentences were longer, but the smaller sentences were mixed well in between. One of my favorite examples was a very short sentence, it was a quote by his mother. “No need.” That was all she said, after her son had realized that she was carrying a large load and offered to help. This story is sweet because after failed attempts to wake up her son while carrying this load, the son, who was already awake, looks to watch her leave but sees her burden. After trying to offer help, she simply says “no need.” The author had a good variety of narration and quotations. The theme that I gathered from his memory of his mother and his stories from the mountains, is to cherish your family. He later gets news, while in the mountains, that his mother had passed away. He spends a lot of time praising his mother for how selfless and kind she was, how much he cared for her. He talks about how he realized this truth has he got older. I also think an additional theme is to always keep our memories close, for they can help us remember important lessons or people in our time of need. A lot of the places, specifically rivers and ridges had very cultural names. I feel that this story says that the people of Thailand value their families and the memories that they share with them.